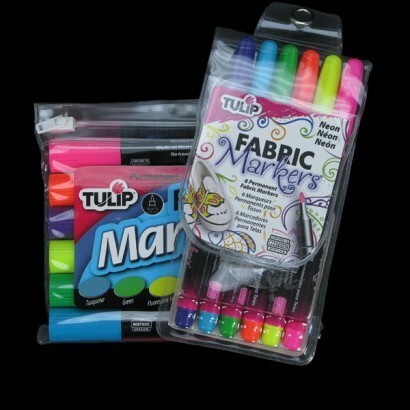 Neon Fabric Markers make updating tired looking clothing and accessories easy! Customise your look with bright and vibrant neon colours using fabric pens that are simple to use and available in 1mm tip for intricate detail, or 3mm tip for thicker lines. 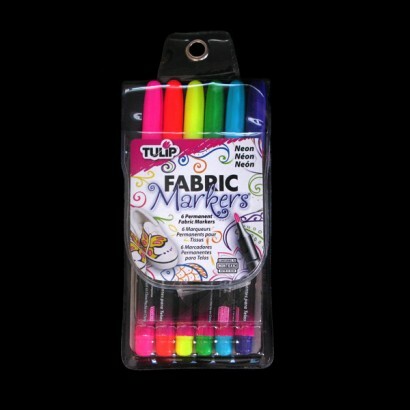 Neon Fabric Markers are perfect for use on clothes, bags and soft furnishings, in fact their use is limited only by your imagination. 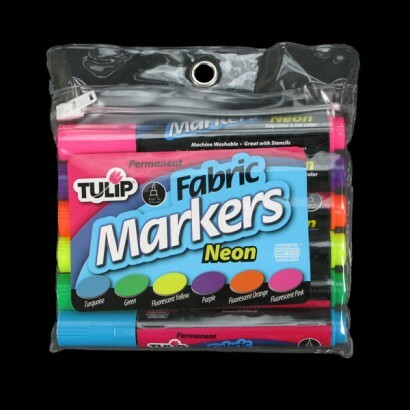 Use these vibrant neon markers with stencils or for freehand designs and are permanent and washable.